The E3631A is an 80 W, 25 V, 1 A, DC Power Supply from Agilent. 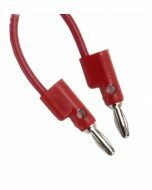 Supplies DC Voltage and Current to test, design, and troubleshoot electric and electronic circuits. Applications include Burn In, QA, ATE, Research, Design, and Education to name a few. Current MSRP from Keysight is $1473. The triple output, 80W, E3631A provides a small, compact size for bench use, low output ripple and noise, built-in measurements and basic programmable features with GPIB and RS232 interface. 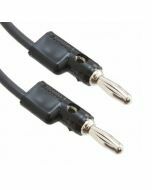 The 6V output is electrically isolated from the ± 25 V supply to minimize any interference between circuits under tests. The ± 25 V outputs can be set to track each other. This clean and reliable supply is designed for general purpose applications; and combines convenient benchtop capabilities with flexible system features in a compact, multi-output package. Proof of legitimacy available from ValueTronics.